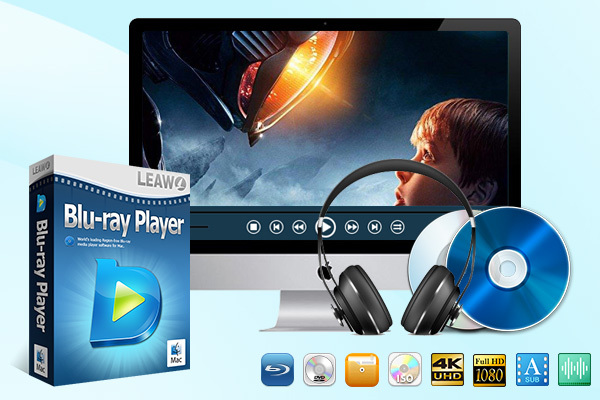 Description: Being the best free media player software combo for Mac, Leawo Blu-ray Player for Mac (http: www.leawo.org blu-ray-player-mac ) is all-inclusive Mac media player software to play back Blu-ray DVD disc, audio, common videos and up to 1080P HD videos and audios smoothly on Mac OS 10.6 or later in lossless quality. As professional region-free Blu-ray DVD media player software, Leawo Blu-ray Player for Mac could decrypt the latest Blu-ray DVD discs and play Blu-ray DVD discs of all region codes. It could play back Blu-ray discs in AACS, BD+ and the latest MKB protection and play CSS-DVD discs easily. It outputs video at up to 1080p high-definition quality without loss of data and frame, and allows full preservation of all audio tracks (like AC3, DTS, AAC, multi-channel LPCM, TrueHD or DTS-HD sound), subtitle streams, chapter markers and videos. With various advanced audio decoding technologies like Dolby, DTS, AAC, TrueHD, DTS-HD, etc. built in, Leawo Blu-ray Player for Mac delivers extraordinary audio effect. It could even play back ISO files directly, no extra codecs needed. For better user experience, it provides detailed navigation and full playback control and allows people to adjust subtitles, audio tracks and videos during playback, multiple files importing, virtual remote controller, playlist, etc. People could add videos to the internal playlist for continuous movie enjoying. With Leawo Blu-ray Player for Mac, HD movie enjoyment on Windows would be greatly improved.